Calculate exactly and show the number of Moon days. Is there a better alternative to MoonLight? Is MoonLight really the best app in Science category? 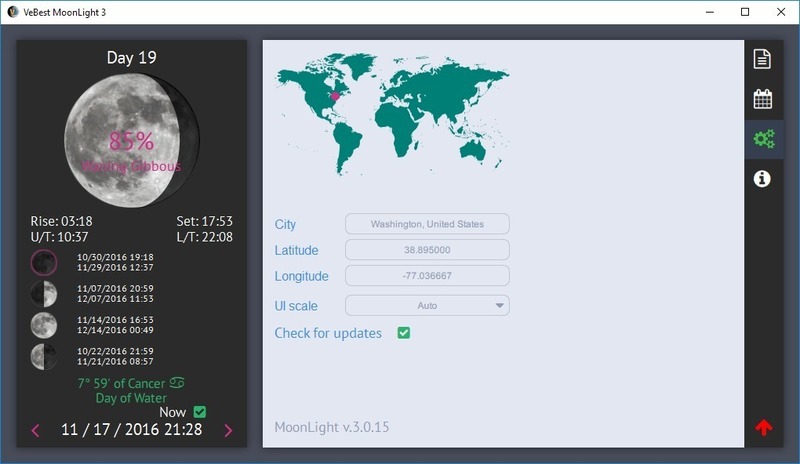 Will MoonLight work good on macOS 10.13.4? 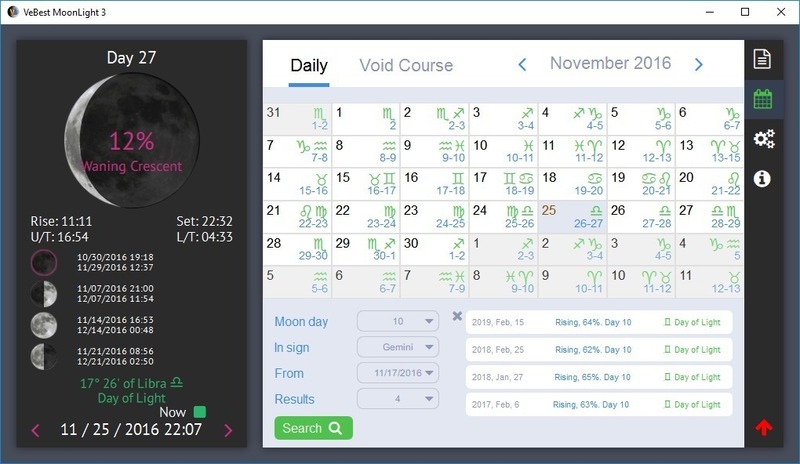 MoonLight calculates exactly and shows the number of Moon day, time of beginning and end of Moon day, time of moon rise and moon set. The program defines exactly the position of Moon in zodiac, the phase of Moon (ascending moon, increasing Moon, new Moon, full Moon). 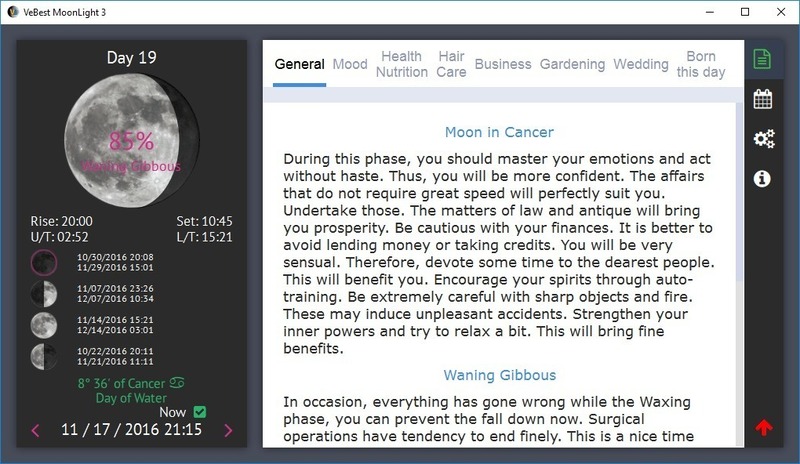 This program can even define the time of new Moon, full Moon for the 1000 years for the past and future as well; time of phase change (current phase, nearest new Moon, nearest full Moon, nearest the second quarter, nearest the last quarter); the quality of day (day of warmth, day of cold, day of air, day of water). MoonLight needs a review. Be the first to review this app and get the discussion started! MoonLight needs a rating. Be the first to rate this app and get the discussion started!